When James was eight years old his mother died. His parents plan that they would educate him at home until he was 13 years old, and that he would then be able to go the Edinburgh University, fell through. A 16 year old boy was hired to act as tutor but the arrangement was not a successful one and it was decided that James should attend the Edinburgh Academy. At school he was at first regarded as shy and rather dull. he made no friendships and spent his occasional holidays in reading old ballads, drawing curious diagrams and making rude mechanical models. This absorption in such pursuits, totally unintelligible to his schoolfellows, who were then totally ignorant of mathematics, procured him a not very complimentary nickname. About the middle of his school career however he surprised his companions by suddenly becoming one of the most brilliant among them, gaining prizes and sometimes the highest prizes for scholarship, mathematics, and English verse. In early 1846 at the age of 14, Maxwell wrote a paper on ovals. In this work he generalised the definition of an ellipse by defining the locus of a point where the sum of m times the distance from one fixed point plus n times the distance from a second fixed point is constant. If m = n = 1 then the curve is an ellipse. Maxwell also defined curves where there were more than two foci. This became his first paper On the description of oval curves, and those having a plurality of foci which was read to the Royal Society of Edinburgh on 6 April 1846. These ideas were not entirely new as Descartes had defined such curves before but the work was remarkable for a 14 year old. Maxwell was not dux of the Edinburgh Academy, this honour going to Lewis Campbell who later became the professor of Greek at the University of St Andrews. Lewis Campbell was a close friend of Maxwell's and he wrote the biography  and its second edition . These biographies make fascinating reading filled with personal memories. The winter of 1847 found us together in the classes of Forbes and Kelland, where he highly distinguished himself. With the former he was a particular favourite, being admitted to the free use of the class apparatus for original experiments. ... During this period he wrote two valuable papers which are published in our Transactions, on The Theory of Rolling Curves and The Equilibrium of Elastic Solids. ... he brought to Cambridge in the autumn of 1850, a mass of knowledge which was really immense for so young a man, but in a state of disorder appalling to his methodical private tutor. Though the tutor was William Hopkins, the pupil to a great extent took his own way, and it may safely be said that no high wrangler of recent years ever entered the Senate-house more imperfectly trained to produce 'paying' work than did Clerk Maxwell. But by sheer strength of intellect, though with the very minimum of knowledge how to use it to advantage under the conditions of the Examination, he obtained the position of Second Wrangler, and was bracketed equal with the Senior Wrangler, in the higher ordeal of the Smith's Prizes. ... Scholars dined together at one table. This brought Maxwell into daily contact with the most intellectual set in the College, among whom were many who attained distinction in later life. These in spite of his shyness and some eccentricities recognised his exceptional powers. ... The impression of power which Maxwell produced on all he met was remarkable; it was often much more due to his personality than to what he said, for many found it difficult to follow him in his quick changes from one subject to another, his lively imagination started so many hares that before he had run one down he was off on another. Maxwell obtained his fellowship and graduated with a degree in mathematics from Trinity College in 1854. The First Wrangler in that year was Edward Routh, who as well as being an excellent mathematician was a genius at mastering the cramming methods required to succeed in the Cambridge Tripos of that time. Maxwell remained at Cambridge where he took pupils, then was awarded a Fellowship by Trinity to continue work. One of Maxwell's most important achievements was his extension and mathematical formulation of Michael Faraday's theories of electricity and magnetic lines of force. His paper On Faraday's lines of force was read to the Cambridge Philosophical Society in two parts, 1855 and 1856. Maxwell showed that a few relatively simple mathematical equations could express the behaviour of electric and magnetic fields and their interrelation. However, in early 1856, Maxwell's father became ill and Maxwell wanted to be able to spend more time with him. He therefore tried to obtain an appointment in Scotland, applying for the post of Professor of Natural Philosophy at Marischal College in Aberdeen when Forbes told him it was vacant. Maxwell travelled to Edinburgh for the Easter vacation of 1856 to be with his father and the two went together to Glenlair. On 3 April his father died and, shortly after, Maxwell returned to Cambridge as he had planned. Before the end of April he learnt that he had been appointed to the chair at Marischal College. It is one of the most remarkable applications of mathematics to physics that I have ever seen. I have just received your papers on the dynamical top, etc., and the account of experiments on the perception of colour. The latter, which I missed seeing at the time when it was published, I have just read with great interest. The results afford most remarkable and important evidence in favour of the theory of three primary colour-perceptions, a theory which you, and you alone, as far as I know, have established on an exact numerical basis. Professor Maxwell is already acknowledged to be one of the most remarkable men known to the scientific world. ... there is another quality which is desirable in a Professor in a University like ours and that is the power of oral exposition proceeding on the supposition of imperfect knowledge or even total ignorance on the part of pupils. ... once been present when [Maxwell] was giving an account of his geometrical researches to the Cambridge Philosophical Society, on which occasion I was struck with the singularly lucid manner of his exposition. Maxwell in short had too much learning and too much originality to be at his best in elementary teaching. For those however who could follow him his teaching was a delight. There were nine months of lecturing in the year, and evening lectures to artisans, etc., were recognised as a part of the Professor's duties. 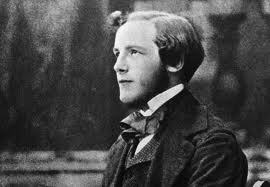 Maxwell also continued work he had begun at Aberdeen, considering the kinetic theory of gases. By treating gases statistically in 1866 he formulated, independently of Ludwig Boltzmann, the Maxwell-Boltzmann kinetic theory of gases. This theory showed that temperatures and heat involved only molecular movement. This theory meant a change from a concept of certainty, heat viewed as flowing from hot to cold, to one of statistics, molecules at high temperature have only a high probability of moving toward those at low temperature. Maxwell's approach did not reject the earlier studies of thermodynamics but used a better theory of the basis to explain the observations and experiments. Maxwell left King's College, London in the spring of 1865 and returned to his Scottish estate Glenlair. He made periodic trips to Cambridge and, rather reluctantly, accepted an offer from Cambridge to be the first Cavendish Professor of Physics in 1871. He designed the Cavendish laboratory and helped set it up. The Laboratory was formally opened on 16 June 1874. The four partial differential equations, now known as Maxwell's equations, first appeared in fully developed form in Electricity and Magnetism (1873). Most of this work was done by Maxwell at Glenlair during the period between holding his London post and his taking up the Cavendish chair. They are one of the great achievements of 19th-century mathematics. ... published only two papers [and] left twenty packages of manuscript on mathematical and experimental electricity. ... Maxwell entered upon this work with the utmost enthusiasm: he saturated his mind with the scientific literature of Cavendish's period; he repeated many of his experiments, and copied out the manuscript with his own hand. ... The volume entitled The Electrical Researches of the Honourable Henry Cavendish was published in 1879, and is unequalled as a chapter in the history of electricity. During the last term in May 1879 Maxwell's health evidently began to fail, but he continued to give his lectures up to the end of the term. ... To have enjoyed even a brief personal acquaintance with Professor Maxwell and the privilege of his oral instruction was in itself a liberal education, nay more, it was an inspiration, because everything he said or did carried the unmistakable mark of a genius which compelled not only the highest admiration but the greatest reverence as well. No man ever met death more consciously or more calmly.